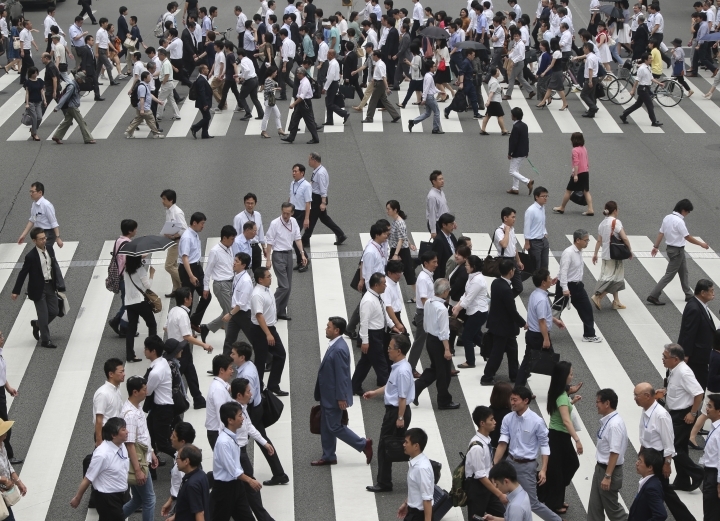 TOKYO — Japan's economy barely grew in the April-June quarter, as weaker exports and business investment weighed on the faltering recovery. Growth for the world's third-largest economy was flat on a quarterly basis, adding to pressure on the Bank of Japan to take further action to stimulate slack corporate spending. The economy expanded at a 0.2 percent annual pace in the last quarter, compared with a revised 0.8 percent rate in January-March period. Economists had forecast that it would maintain or even slightly better that pace in April-June. But private demand, which accounts for nearly two-thirds of business activity, rose only 0.2 percent. 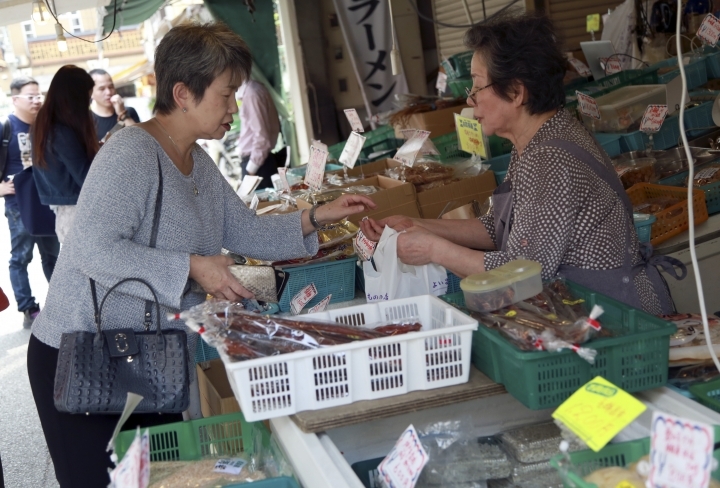 Moving to salvage his "Abenomics" strategy for fighting stagnation, Prime Minister Shinzo Abe recently proposed 28 trillion yen ($267 billion) in spending initiatives meant to get consumers and businesses to spend more and support the recovery. The Bank of Japan also recently announced it would modestly increase its asset purchases from financial institutions to help inject more cash into the world's third-largest economy and pursue its 2 percent inflation target. It also plans a "comprehensive assessment" of the impact of the bank's monetary easing on the economy, citing "considerable uncertainty" over the outlook for prices and global markets. A recent strengthening in the value of the Japanese yen, and weaker oil prices, have slowed progress toward the inflation target set by Abe and the central bank. In February, the central bank began charging retail banks on excess reserves, implementing a negative interest policy in its quest to get lenders to put money to use. That policy has helped spur a flurry of refinancing and could support demand through new housing investment. Residential investment was relatively strong in the last quarter, rising 5 percent from a year earlier. However, corporate investment fell 0.4 percent. And consumer spending inched up 0.4 percent, despite a 2.5 percent increase in incomes. Still, the improvement in household incomes offers some hope, Masamichi Adachi of JP Morgan said in a research note. "While the softer-than-expected 2Q outcome was somewhat disappointing, we think that consumption momentum remains positive," he said.